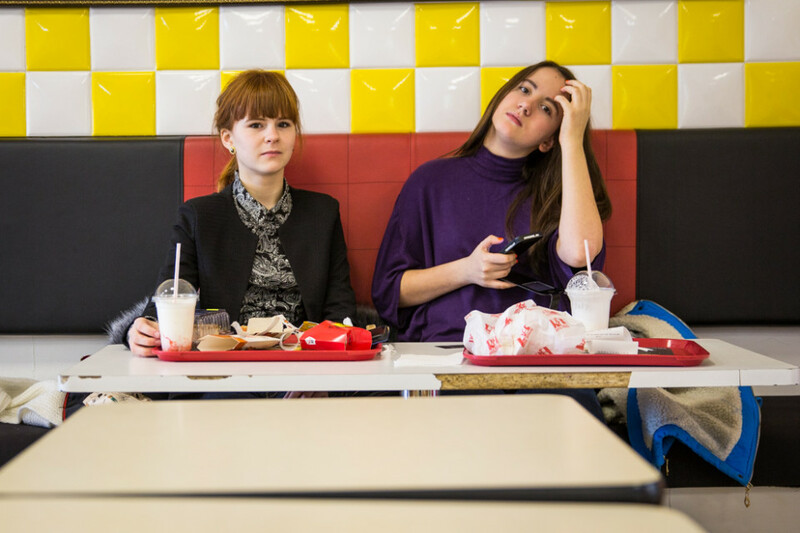 Alina (right) and Sasha were eating fast food and drinking milk shakes on a sunday Friday afternoon at Royal Burger, the McDonald’s of Russia’s Far East region. Alina, an 8th grader, said she liked rap and hard rock, adding that her favorite musicians were Marilyn Manson and Oliver Sykes. She said she came across Marilyn Manson and his music through the Internet.